The days of the one-size-fits-all resume are long gone. Today many job seekers are finding it virtually impossible to land a job without a professionally written resume, one that is tailored to a specific profession. The standard resume template just does not cut it anymore. Your resume, regardless of profession, is the first opportunity to capture a hiring manager’s interest. When it comes to an accounting, your resume should reflect your in-depth knowledge of accounting and your ability to judge financial investments. To stand out from the crowd, make sure you incorporate a hard-hitting opening statement into your accounting resume. Followed by your accounting skills, abilities and accomplishments. These include such things as certifications and licenses you have aquired, such as your CPA and brokerage licenses. Furthermore, you should also include a section for your Areas of Expertise as it relates to accounting. It is in this section where you not only want to convey your expert skills, but also write in a manner that is rich with keywords, making it that much easier for hiring companies to find you. When it comes to Information Technology, or IT, the industry is always changing. New technologies come out every few months. This is why it is so important to write a specifically tailored IT resume that showcases your knowledge and understanding of the latest technologies used in the industry. You will want to highlight any certifications and levels that you have acquired in all applicable programming languages, applications, software and hardware on your resume. Most companies know what they want when they are looking for an IT professional, so determine what your strong points are and build your resume around them. There are more than 25 different fields in which an engineer can specialize, so when you are setting out to tailor your engineering resume, it is important to keep in mind the specific field in which you are applying for. Just as the one-size-fits-all resume longer works in today’s job market, the same applies to your engineering resume, and a simple template resume is also bound to fail when applying to different fields within the industry. Your engineering resume must illustrate your skills in the particular field that you are applying for. The more qualified you are for the specific field, the better your chances will be to be invited in for an interview. Just as in the accounting resume, your engineering resume should include a Areas of Expertise section that will help you to not only showcase your specific engineering skills, but will also be an area to add keyword-rich writing that will help you to be found on the internet by hiring managers. Your resume is a sales pitch for yourself, and this is why it is extremely important to have a specifically customized sales resume when applying for a career in sales, regardless of the field you are applying for. There are many opportunities in sales, as almost every industry requires a sales force of some kind. The biggest growth industry today, in regards to sales careers, is the pharmaceutical industry. When it comes to your sales resume you definitely want to include all of your past employment that illustrates your best sales experience. Your resume should also demonstrate your particular areas of expertise, and list your strongest skills, but by far the most important aspect to include are the tangible achievements you have accomplished. Hiring managers need to see how successful you are at sales, so include all the numbers you can. A great success story will go a long way to prove that you are the right person for the position. Nursing is not only a career that is in high demand; it is also a very demanding job, but as anyone working in the healthcare field can tell you, it can be very rewarding. Your nursing resume should reflect the latest industry trends and address the evolving roles that nurses are expected to fulfill in today’s society. It is also very important to list all the various positions you have held. For example, if you have been a charge nurse in various units, you should not only list those units you were part of, but you should also include an explanation of the different duties you have been responsible for. Additionally, make sure your resume highlights any significant licenses, degrees and certifications that you have acquired, as well as the dates that you obtained them. The growing trend of professionals seeking to further their education in the hopes to advance, or enhance, their careers has led to a demand in teaching jobs. Today there are many academic fields in which you can specialize as an educator. In order to show that you are the right fit, you will first need to have a professionally written teaching resume that effectively communicates your qualifications as an educator. Your resume should not only demonstrate that you have experience teaching, but it should also show that you have been involved in making a difference in the lives of your students. Your teaching resume should also highlight any special skills and any training that you have received, including any awards, accomplishments or accolades. Regardless of your chosen career path, the most important aspect of a professionally written resume is to customize it to your specific field or industry. 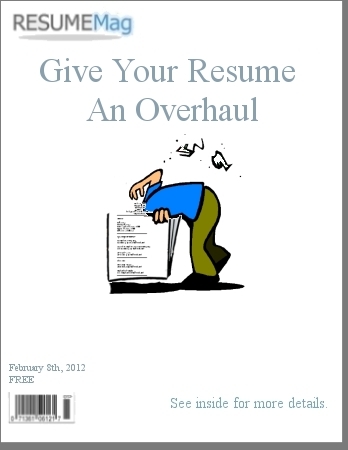 Getting away from the template one-size-fits-all resume will help you to grab the attention of the hiring manager. With a professionally written resume we can guarantee you an interview, after that, your success is up to you.